Board certified Family Nurse Practitioner, Dr. Morgan Wolf, is the National Director of Clinical Operations, overseeing the team of Regional Clinical Directors company-wide. She completed her Bachelor of Science in Nursing from Bloomsburg University of Pennsylvania. She then went on to earn her Doctorate in Nursing Practice at the University of San Diego where she completed a dual program for Family Nurse Practitioner and Adult/Geriatric Nurse Practitioner. 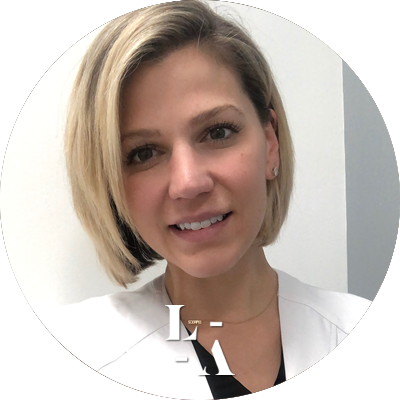 Morgan has over 7+ years experience working in aesthetic dermatology with advanced skills and certification in facial rejuvenation, laser and light based treatments, body contouring, and aesthetic injectable education. In 2018, she was selected to become an Allergan Medical Institute Trainer and Speaker for Facial Aesthetics. She is also a member of the American Association of Nurse Practitioners (AANP), the American Nurses Association & ANA\California, and the California Association for Nurse Practitioners (CANP).